Sara Ciavarella is an Innovation Strategy Consultant with Allergy Standards Ltd who is currently pursuing her Master of Engineering, Science, & Technology Entrepreneurship from the University of Notre Dame. As part of her capstone thesis project, she works closely with the Allergy Standards team to translate classroom learning into real go-to-market commercialization strategies for new and innovative offerings from Allergy Standards. She also strategizes on ways to incorporate innovation into the backbone and culture of ASL. 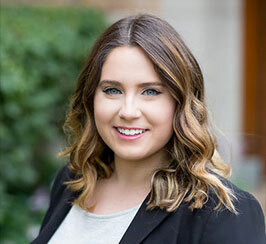 Previously, Sara earned her bachelor’s degree in physics with a minor in philosophy and focus of Irish studies from the University of Notre Dame in 2017. Before returning for graduate school, she worked full-time at The ABIS Group as a Client Support Coordinator. There, she collaborated with internal and external stakeholders and drove tools and processes improvements.